Pizza is a favorite dish enjoyed by everyone- kids and adults alike. This dish is a popular Italian dinner which is composed of different delicious toppings that will satisfy any palette. Unfortunately, some people, especially those who are on a fat loss or healthy diet program, avoid this dish. Toppings, such as beef pepperoni, sausage, and bacon, are not good for the wasteline. Additionally, excessive consumption of these toppings is not good for one’s heart due to the calories and unhealthy cholesterol. Thankfully, there are heart-healthy options that you can add to your personal pizza. These healthy pizza toppings are not only low in calories and fat, but they are also filled with vitamins and nutrients. By making healthy choices, you can satisfy your craving for pizza while staying on a well-balanced and healthy diet. Some people feel that a pizza dish is not complete without meat. Meat is a favorite pizza topping, but unfortunately, it is the main source of calories and unhealthy fats. But if you want meat on your pizza, there are healthy meat toppings that can satisfy your cravings without compromising your health and diet. Chicken: This is one of the healthiest options you can consider. Chicken meat is a good source of lean protein, and it has lower fat than other types of meat. Additionally, it is a great alternative to the usual beef pepperoni. Turkey: Turkey pepperoni is also a good option; although it is not as flavorful as beef. Ground lean turkey can also be a sound alternative to fatty sausage. You can add some flavor using garlic powder and other healthy seasoning. By doing so, you will be eating your way to your next slice of healthy pizza. Most types of cheese that are added as pizza toppings are very high in fat. For this reason, cheese must be added with moderation. If you feel like your pizza is never complete without a sprinkle of dairy, you can use lower fat mozzarella cheese. This type of cheese has some nutritional quality while ensuring that the fat and calories stay low. Low-fat cheese also has higher protein content. As an additional tip, you can add cheese with strong flavors but add them moderately. A small amount of feta cheese or parmesan can provide you with the right burst of flavor. You can also consider taking out this topping completely and replace it with zesty herbs and flavorful vegetables. If you are craving for pizza but want to stay away from unhealthy fats and cholesterol, there is no need to despair, and there is no need to go astray from your healthy diet program. The toppings mentioned and discussed above are some of the healthy options you can add to your pizza crust. Kris Lim is a food blogger who writes for food magazines and websites. 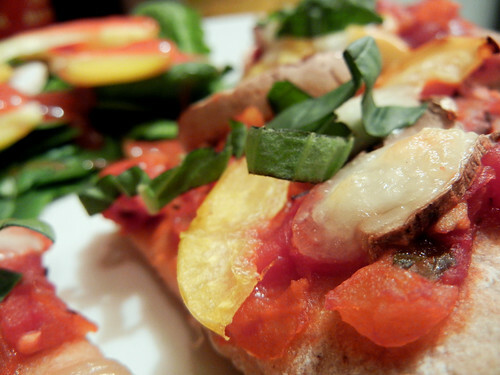 She shares some tips and suggestions on how to eat Wakefield pizza without straying from your healthy diet program. She also writes for pizza houses and websites.